Dreaming about this Tibi dress – the colors are amazing and would be great for both summer or fall! 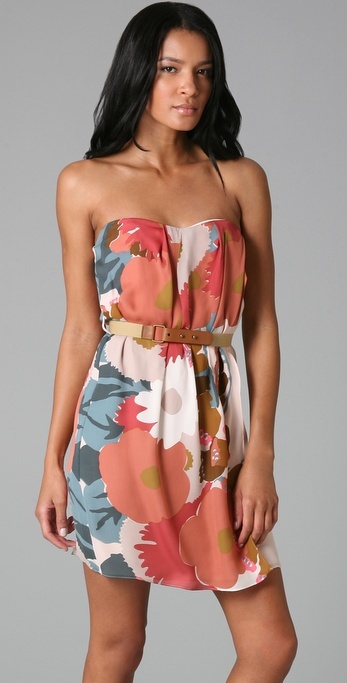 Click here to get this flirty strapless frock. Summer – espadrilles and long earrings.